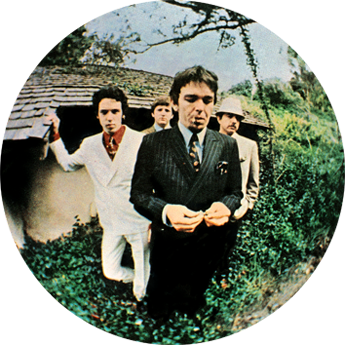 The Sundazed label is continuing its run of quality Beefheart with the release of a ‘definitive’ MONO version of “Safe As Milk”. Many fans prefer the original mix of the band’s first album and this looks like THE one to pick up if you can’t afford one of the 1967 copies. The album is going to be released on 180 gram vinyl and on CD. The vinyl will have all the artwork, including the bumper sticker, that graced the original Buddah disc. There will be liner notes by David Fricke. It’s already being listed by some online sellers for pre-order although the official release date is 24th September 2013. Was the first generation mono master tape located or is this from a different source? no one is saying. no details on cd packaging. It is indeed sourced from the 1st gen master, Sundazed posted a pic of the tapebox on their facebook page. rooting around, sundazed has stated that it is sourced from a safety copy,i.e. first generation sub-master. original sources are mastered on new sources before detoriation? That having been said, there can be numerous reasons why things may or may not be released. Money is the biggest one, mostly in terms of a release not recouping its initial costs (and making a considerable profit), but there could also be rights issues or any number of reasons (including source material deterioration). Has anyone else noticed that this edition plays faster than the previous release? And is thus at a higher pitch. Which is correct?